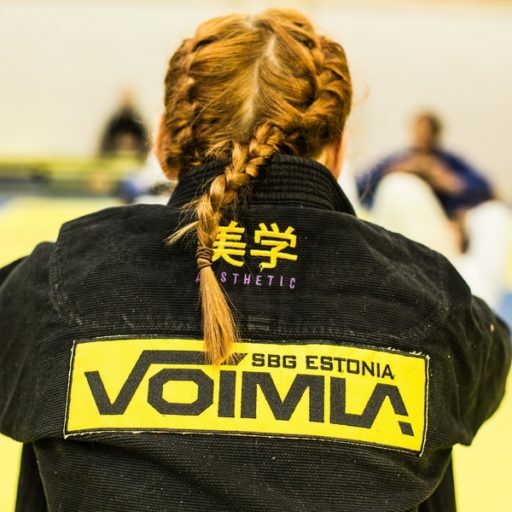 A lot of gyms (including Võimla) introduce new people to combat sports via their basic courses. We have basic courses for people interested in Brazilian jiu-jitsu and grappling and for those interested in MMA, Muay Thai and kick-boxing. 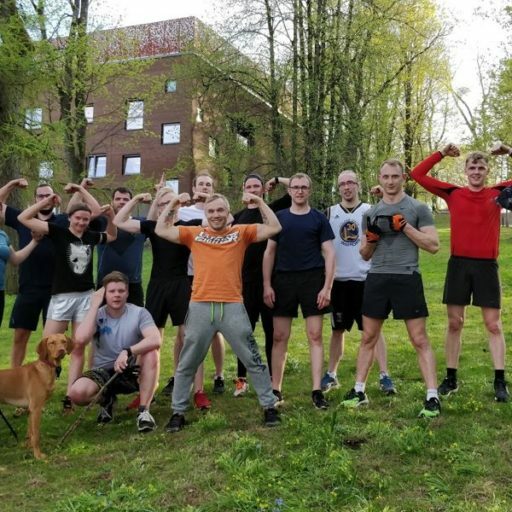 Basic courses are the place to get more familiar with the basics of the sport, prepare your body and mind to the specifics of combat sports and after the course participants are welcomed to our advanced classes. 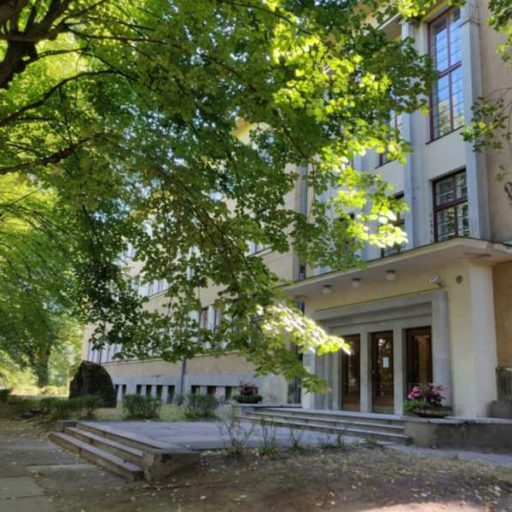 Basic courses that include one group of people starting at the same time have several advantages: the participants have a similar level of experience, people get to know each other and themselves with each training; it helps them grow their self-confidence and courage in an understanding and supportive environment. Often you get close to other trainees and it is wonderful to take them with you to the advanced classes. We usually hold 6 to 8 basic courses per year, half of them for ground fighting and half for stand-up fighting. The feedback has been overwhelmingly positive but it is understandable that people have some doubts and fears before joining our courses. People like things that are familiar whereas new and unknown places and experiences may cause anxiety and even fear. The easiest way to cope with these emotions is to avoid these situations. We have gathered some recommendations from our coaches to help people overcome their fears and join our basic courses. When you follow these notes your experience will be safe and pleasant, providing you with new skills and fresh experiences. 1. DON’T BE A D*CK! If you only remember one recommendation from this post, this is it. Do not be a d*ck and everything else will work itself out. Be polite and pleasant to all participants, listen to your coach, don’t hurt anyone on purpose. Do not use the course to show your technical prowess or raw strength. This course is meant to learn something new and to have a good time. If your coach notices you acting not according to this point they will tell you – don’t get offended by this, just look into your behaviour and stop being a d*ck. If you have any questions or doubts do not hesitate to ask your coach. This is why they are there and your questions are a tool that help them make training more clear for everyone. It is likely that if you have a question about something, someone else also has the same question – help them out in case they’re shy and ask the question yourself. There is no room for fear, pain, or discomfort in our courses. If you have problems with something or someone – please do notify your coach. A part of their job is to ensure a safe and comfortable training environment for everyone. This includes combining partners in a similar physical condition and weight class but they are also human and can miss some things. Share your problem with your coach so they can change partners if necessary, give advice to be a better training partner and have some eye-to-eye conversations as well (refer to point 1). 4. BE FAMILIAR WITH THE TRAINING CONCEPTS! There are three basic elements we use when structuring our training sessions. All of them have their place in learning and remembering new skills – we try the techniques, we drill and we do live sparring. Each of them have their goals and characteristics. Trying a technique – trying a new move or technique with no resistance. Usually this is done in pairs – one partner gives a couple of tries and then the other one. There is no active resistance but the partner retains good posture and movement. Drilling – an exercise with a set purpose, beginning and end point. The coach explains the purpose and execution of the drill and provides instructions of resistance necessary for a successful drill. Drilling takes place in pairs – each partner has an amount of time to practice a technique with some resistance. After the time is up the partners switch and repeat. Sparring – both training partners use all agreed-upon techniques, skills and resistance. We don’t start with sparring until halfway into the course as certain technical skills are necessary for sparring to be successful. You will also hear the expressions “flow roll” and “point sparring”. Both are subsections of sparring that are characterized by minimal resistance. Flow roll is a fun exercise that is usually done to warm up for your BJJ class – it helps your body to get used to the movements while keeping the intensity of the training low. During your flow roll both partners keep moving, no positions are held more than a couple of seconds and there are no submissions. It is mostly to exchange techniques or movements. Point sparring is a form of stand-up sparring where you try to land clean punches with minimal contact while protecting yourself from punches. 5. BE A GOOD TRAINING PARTNER! Refer back to point no. 1. Some parts of the learning process are going to be more difficult than others. When you are not as successful with some techniques as you wish, do not try to find an easier way or a workaround. Keep trying again and again and ask your coach for assistance if necessary. It is also possible to ask your partner to reduce their resistance so you can practice and when they ask you to do so, please listen. Be prepared to “lose” to your training partners. Your friend submits you while sparring? Try to not act angry or hurt, do not try to teach them how they could have submitted you faster or better. Instead ask them for advice on how to nail the same submission or how to defend yourself against their attacks. This enables you both to improve. Choose proper resistance for your training partner! While practicing techniques you will learn to feel what kind of resistance your opponent works best with. There should be enough resistance to provide a realistic environment for training but low enough that your partner is successful with the execution of the techniques and experiences success. If your partner is unable to successfully complete their techniques even once during their drill you have been a bad partner – it is probably necessary to reduce your resistance and pressure. The same applies to sparring as well – if you are clearly stronger or more technically advanced than your partner, use the spar to practice some new and unfamiliar techniques and set-ups while giving your partner some chances for attacks. In this way you both benefit from this exercise. 6. TAPPING IS YOUR BEST FRIEND! In both Brazilian jiu-jitsu and MMA joint locks and chokes are used to submit an opponent. It might seem dangerous but in reality the training environment is safe. To ensure this safety one of the most important things is the “tap” – a notice to your partner that their submission attempt was successful (joint lock is secured, the choke is tight) and they can release the hold. After tapping the partner releases their opponent and training can continue. There are two best options for tapping – tapping your opponents body strongly at least three times in a row or yelling “stop/tap” loudly enough to hear. If you softly tap the mat or whisper to yourself your partner might not notice and this can lead to injuries. 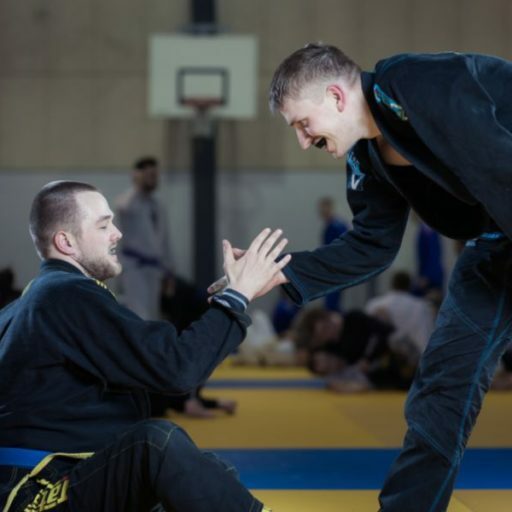 When you are the one completing the submission be mindful of your training partner – do not act too suddenly or fast, give your partner the chance to tap out. If you have doubts about them tapping release your hold immediately and check into it – better safe than sorry! Tapping is a part of our training and competitions, it helps us train and learn. Never try to push the tap – if you have an idea “maybe I should tap” then do so immediately. 7. BE A CONSIDERATE TEAM MEMBER! Even though we are training combat sports that focuses on one-on-one fighting we are all in this together. Be a considerate member of the group and the gym. Do not train when sick! Care for your personal hygiene! If necessary do shower before training and definitely shower after it. Long hair belongs in a ponytail and nails are to be kept short. Remove all jewellery during training – it might injure you and others. Avoid body lotions and oils prior to training – they make the body slippery which does the same to the mats, increasing the risk for injuries and falls. Wear proper clothing – the more tight the better. Fingers and toes tend to get stuck in more loose-fitting clothes and it might be an unpleasant experience for all participants. Good training attire keeps close to the body, absorbs moisture and protects from scratches and mat burns. All your clothes should be as clean as yourself when you start the training. As training can be quite intense it is imperative to wash your clothes after each training! Use flip-flops to move between the dressing room and the mats. Training takes place barefoot and for this reason we all need to have clean feet during training. If you don’t have your flip-flops then use your other footwear and leave it behind the door of the mat hall. 8. HEALTH AND SAFETY ABOVE ALL! Choose your on training intensity. Take a break when you feel tired. Choose the right intensity and resistance for your training partner – discuss this with them before starting the training. It is also possible to switch partners if your weight class, experience or training goals are not aligned. Bring your water bottle with you and drink plenty of water during breaks. Always wear a mouth guard when training. Get used to this from the first training and wear it consistently – starting from the warm-up until the end of the last spar round. We are training a contact sport so some bruises and mat burns are to be expected. If you experience more serious health issues do discuss them with your coach and take a break from training if necessary. Small bruises on your shins are temporary and will disappear once your body gets accustomed to your new sport. “Mat burns” – skin chafing caused by its rubbing against the mat can be somewhat painful and unpleasant – we recommend spray-plaster for fastest recovery time. In the beginning you might be bothered by small blisters under your feet – you can use wrestling footwear, special socks or just use sports tape to tape up your feet. Sports tape is your friend in general – if you have some pain in your fingers you can tape them together, it is also useful for scratches or broken nails. 9. BE PRESENT IN BODY AND MIND! Each training begins with a name-check. Try to be on time or if you can’t avoid being late please notify your coach beforehand. We would like you to attend each training session but we understand that most of us also have other responsibilities. You are allowed to miss 1/3 of the training sessions. If your number of absences is bigger you will probably not be able to understand the lessons and grasp the techniques. We do understand that at times some absences are unavoidable. Do not be afraid to return if you have to miss a week or even two – talk to the coach and we will find a way for you to catch up with the others! For example it is possible to make up for the missed time during our open mat time on Saturdays at 14:00-15:30. Bring a training partner from your course or ask whether some of the coaches are available to help you out. If there are more people who have trouble with some topics we can add extra training times on Saturdays as well. It is also possible to pay our coaches for some private lessons. Not giving up is the most important part – we will find a solution together! Training sessions are exciting and difficult enough to demand your full attention. This is why we ask you to leave all your work thoughts and everyday problems behind the door when you enter the training. You can help our training environment by packing away your phone, not chatting with your friends and not disturbing others in general. Do listen to the coach and pay attention. Ask questions when you have any doubts about anything. Pay attention to your surroundings when drilling and sparring – our hall is full of people. If you get too close to another pair during your training, stop the drill for a second and move to a safe distance. 10. REMEMBER THE POWER OF “NO”! We focus on the basic skills during our beginners’ courses and we try to train you to become a good training partner. We also want our training environment to be safe and pleasant for everyone. This is why we expect your full cooperation and ban dangerous techniques and do not support unsportsmanlike behaviour. things that the coach has not instructed you to do or things that you have not agreed upon with your training partner. We invite you to be active on the mats and off them – it makes it easier to learn and to find friends from our members’ group. You can find a long-time hobby and some wonderful friends. Do join training even if your day has been long and tiring. You will feel better after, we promise! If you do have more absences than you’d like, talk to your coach and course mates, hire a coach for a private lesson if possible. Focus on training during training, be present and pay attention. It can be quite hard in the beginning as there will be a lot of new information and you might feel like you are not learning anything – this is perfectly normal for beginners to feel. You will understand combat sports better with each training, you will find familiar details in new situations and begin to see the “bigger picture”. For each basic course there will be a Facebook group where we post videos and discussions about the topics covered, coaches are available to answer all questions and you can contact other participants if you want. In addition we recommend you to join our e-mail list, follow our Facebook page and Instagram account. It is also good to re-read our Internal Rules and Training Conditions.